Day 345: Pho at Thai Son. Wednesday might have been the coldest day of the season and there’s nothing better to warm up with than a big bowl of noodle soup. 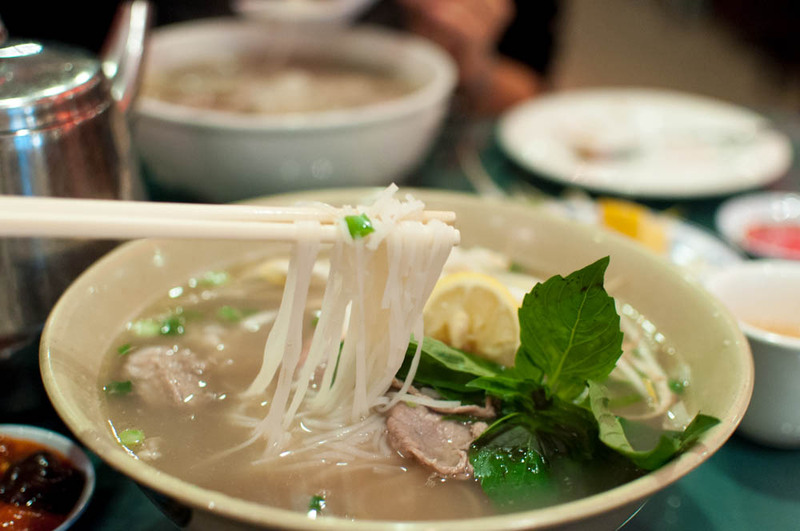 Because I had just come from Bari, only the biggest bowl of fragrant pho at Thai Son would do to fill my stomach. Day 346: Pio Pio Takeout. A few months ago, we started a Pio Pio mail group to make group ordering during lunch time that much easier. On cold days when we don’t want to venture out, this comes quite in handy. To our pleasant surprise, our order came within 20 minutes and we were all happily devouring a delicious lunch of rotisserie chicken, saffron rice and avocado salad. 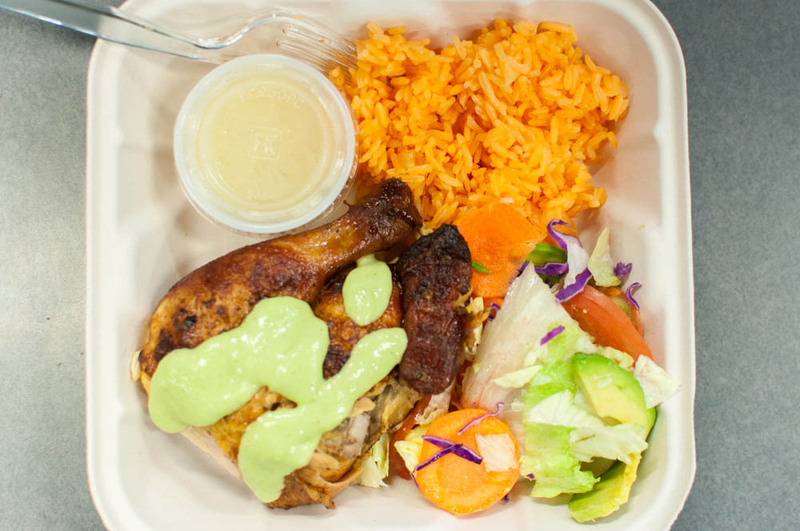 Of course, don’t forget that fabulous green sauce! Day 347: Rack of Lamb with Mustard and Chive Sauce. BF had just moved into her new place in UES and invited JL and I over for a dinner party. 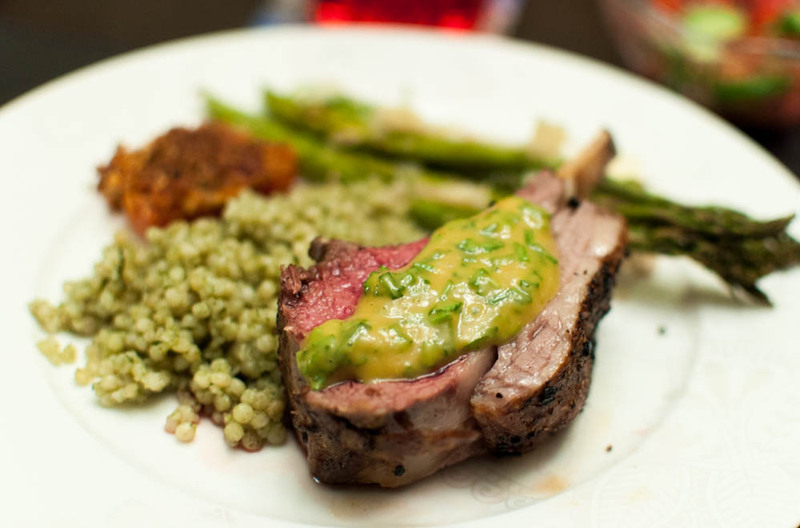 For dinner, BF prepared a beautifully juicy rack of lamb with a lovely spicy mustard sauce served with herbed couscous and roasted asparagus. Glasses of red wine to accompany the delicious meal – not a bad way to spend Friday night with friends. 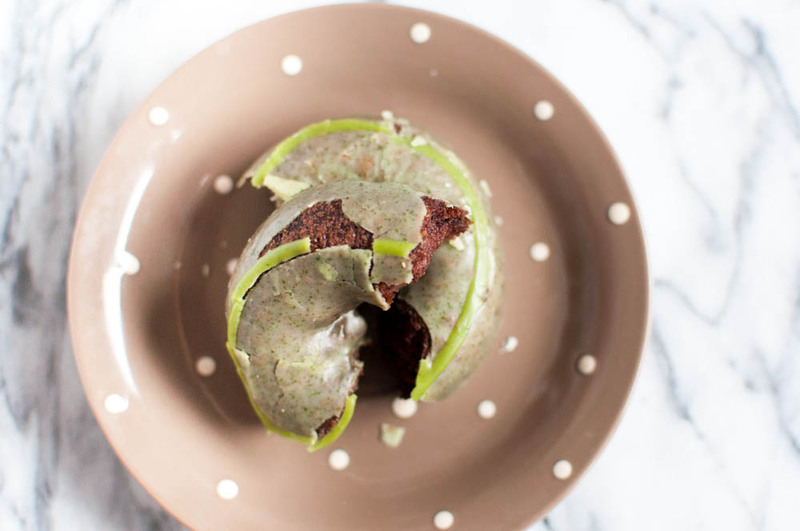 Day 348: Triple Chocolate Mint Doughnut at The Doughnut Plant. I love seasonal specials at The Doughnut Plant. I snagged a piece of this chocolate minty gem when I swung by the shop in the middle of the snow storm. Even though it was coming down pretty hard outside, there was nothing that can keep me from my weekend post gym treat. Day 349: Breads Bakery in Union Square. 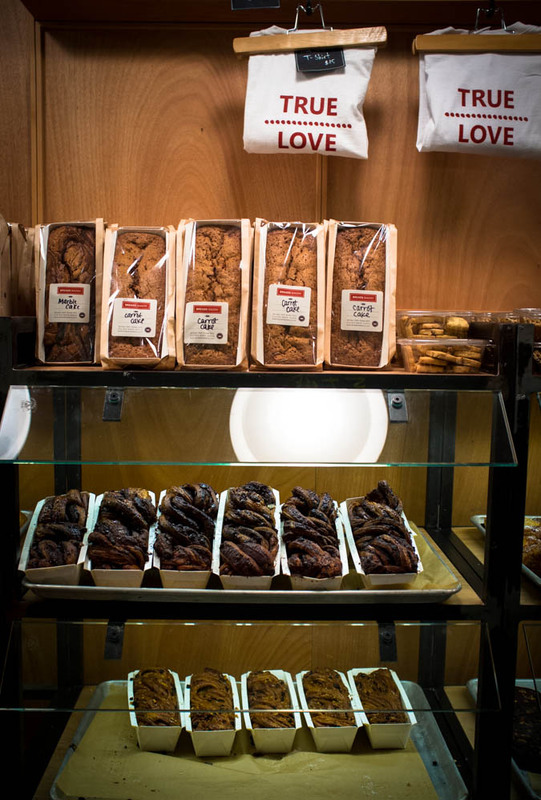 If you find yourself in the Union Square neighborhood doing some last minute holiday shopping, you have to promise to stop by Breads Bakery. The bakery churns out some of the rugelachs and chocolate babkas in the city and I just couldn’t help by grab a few today even though it was dangerously close to dinner time.